NACTOY 2007 North American Truck of the Year. Only 114,695 Miles! Delivers 19 Highway MPG and 15 City MPG! This Chevrolet Silverado 1500 delivers a Gas V8 4.8L/293 engine powering this Automatic transmission. WORK TRUCK PREFERRED EQUIPMENT GROUP Includes Standard Equipment, WHEELS, 4-17" x 7.5" (43.2 CM x 19.1 CM) STEEL, 6-LUG PAINTED, includes painted center caps (spare wheel will not cosmetically match the other 4 wheels) (STD), TRANSMISSION, 4-SPEED AUTOMATIC, ELECTRONICALLY CONTROLLED with overdrive and tow/haul mode (STD). SUSPENSION PACKAGE, HANDLING/TRAILERING, HEAVY-DUTY, includes 46 mm piston monotube shocks and 34mm front stabilizer bar, SKID PLATE PACKAGE, frame-mounted shields, includes front underbody shield starting behind front bumper and running to first cross-member, protecting front underbody, oil pan, differential case and transfer case , TRAILERING EQUIPMENT, HEAVY-DUTY, includes trailering hitch platform and 2-inch receiver, 7-wire harness (harness includes wires for: park lamps, backup lamps, right turn, left turn, electric brake lead, battery and ground) with independent fused trailering circuits mated to a 7-way sealed connector, wiring harness for after-market trailer brake controller (located in the instrument panel harness), and single wire for center high-mounted stop lamp, (K47) high-capacity air cleaner and (KNP) external transmission oil cooler, TIRES, P265/70R17 ALL-SEASON, BLACKWALL (STD), SEATS, FRONT 40/20/40 SPLIT-BENCH, 3-PASSENGER, DRIVER AND FRONT PASSENGER MANUAL RECLINING with outboard head restraints and center fold-down armrest with storage (STD), SEAT TRIM, DARK TITANIUM VINYL (STD), REAR AXLE 4.10 RATIO, PAINT, SOLID (STD), ONSTAR, DELETE, GLASS, SOLAR-RAY DEEP-TINTED (all windows except light-tinted glass on windshield and driver and front passenger-side glass) (With Regular Cab models, includes rear window. 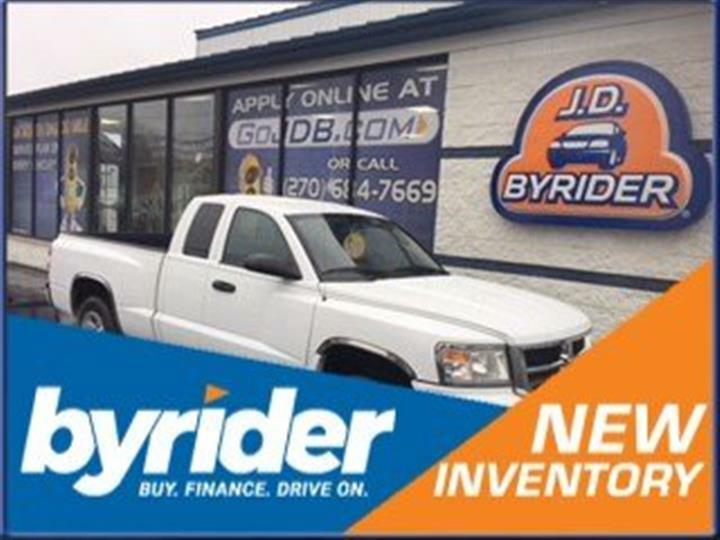 With Extended Cab models, includes rear and rear quarter windows. With Crew Cab models or (C49) rear-window defogger, includes light-tinted rear window.). 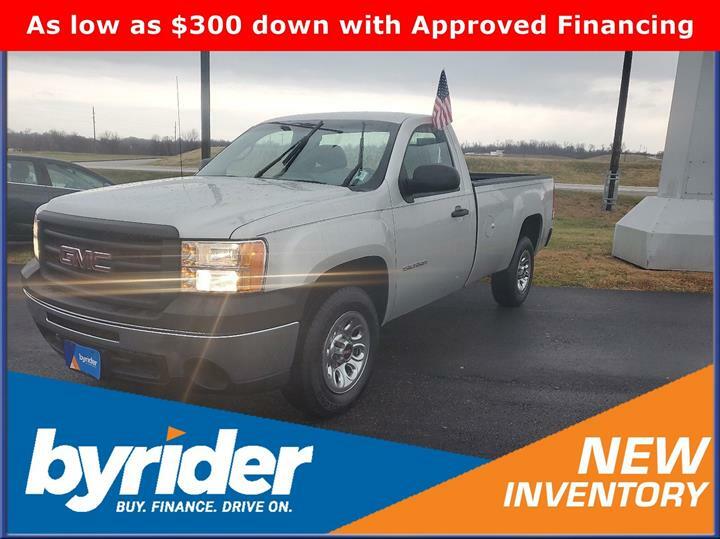 For a must-own Chevrolet Silverado 1500 come see us at JD Byrider-KY104, 250 E 18th St, Owensboro, KY 42303. Just minutes away!